Is color smear really a problem? Let me ask a corollary question: is moire really a problem? Because that's what this is about. In order to avoid moire, Fujifilm has come up with a new sensor design. But the new design has a tendency towards color smear. And yes, color smear shows up in JPEGs. The sample I posted in the review was also shot in JPEG, and while the problem isn't quite as pronounced, it's still there. So to avoid one problem we get a different one. Fujifilm clearly uses the moire avoidance in their marketing of the product; it's the number one feature listed on their site ("Moire is tackled at its root cause by the innovative color filter array…"). More to the point, they use the words "minimizes the generation…of false colors," which is clearly wrong. I see false colors in the JPEGs from this camera as well as all the raw converters. They're just not moire-caused false colors ;~). One thing I aspire to in reviews is to get beyond the marketing hype and to the reality. The reality is that we've swapped one problem for another. Whether that problem is something you wish to avoid is something you have to decide. I like a more deliberate style of shooting, so why all the negativity associated with that? The Fujifilm X-Pro1 might very well fit into your shooting style. Even so, I'll stick by my comments concerning speed of shooting. There's a consistency to all these small frictions in the Fujifilm design: clearly they did not prioritize responsiveness in their design process. Yet, it wouldn't have taken much to change the impression the camera gives, so I have to think it's deliberate. The worrisome aspect, though, is the "brains" inside: clearly the buffer/write performance is not even middle-of-the-pack performance. Ditto the AF system. One wonders how much 2003 technology is in a 2012 camera. The base electronics are things that live with the camera forever. Someone buying the X-Pro1 is likely to want to use it for some time into the future. Unfortunately, another few years and this level of performance will seem quaint at best, ready-for-retirement at worst. The problem here is that Fujifilm has never been close to state-of-the-art in the electronics of their high end cameras. The S# Pro DSLRs were a good case in point. What this does is make them seem to age faster. A D200 still has what feels like reasonable performance today. The S5 Pro, which was built around the D200 body, doesn't. Finally, I don't mind deliberate, slow shooting; I often do that myself. But it's me as the photographer that should be dictating that, not the camera itself. So which mirrorless camera is best? Best isn't a term I tend to use. For something to be best, it really has to stand out far above everything else and be likely to do so for a reasonable amount of time (as products get introduced constantly and tend to change the state-of-the-art). More to the point, individual photographer priorities and needs come into play. A sports shooter, for example, is pretty much going to say only a Canon 1Dx or Nikon D4 has any chance of being "best." A studio shooter might have a different opinion about that. You have to figure out what's best for you, not have someone tell you. 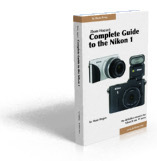 I hope I've provided enough information and detail to help you assess where the Fujifilm X-Pro1 stands for you. Where are the NEX-7 and OM-5 reviews? They're coming. But due to all the high-end camera introductions we've had early this year and some supply issues, as well, I'm swamped with products to review (and in a few cases, such as the D4 and D800, write books about). I've never been the first one to review a product, because I really have to put it in real shooting use before I can fully assess its pluses and minuses. Suffice it to say I'm not dilly dallying and will produce my reviews when they're ready. But to really get to the core of these products takes a fair amount of shooting and post processing time.